While playing basketball at Normandy High School, Corrie was a 4 year varsity starter. By 1994, she was in the Top 20 for all-time career points scored. While playing softball, Corrie was named Plain Dealer All Scholastic Center Fielder, Lake Erie League Most Valuable Player, and Plain Dealer Player of the Week. While playing volleyball, Corrie was named Lake Erie League Most Valuable Player. She earned ten letters and was team captain ten times. 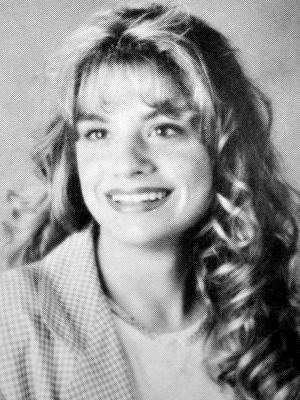 Corrie was voted Best Female Athlete by the Class of 1996. Corrie is a graduate of Grace College of Cosmetology and is a licensed beautician. She is married to Ryan Cervenka (Normandy Class of 1996) and is the Captain of the Willoughby FireDepartment. Together they have two children, Riley and Reed. Corrie is a current resident ofSeven Hills. Corrie spends a majority of her time enjoying her boys excel in athletics. She alsovolunteers at their school activities and events in the classroom.